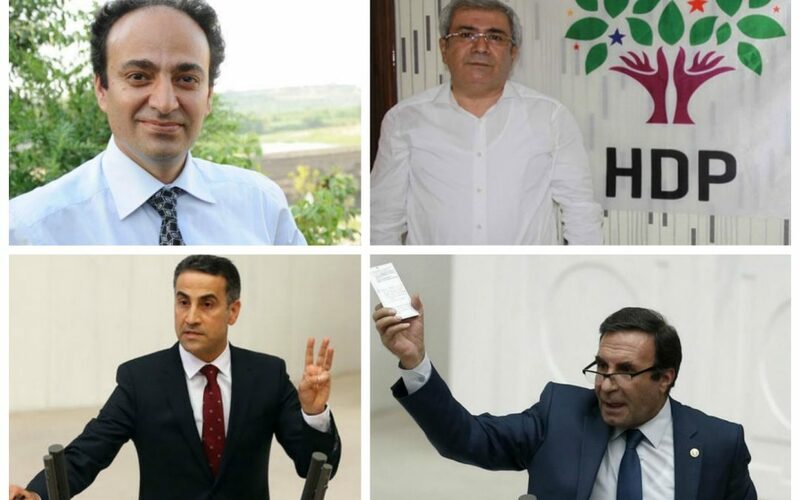 The Peoples’ Democracy Party (HDP) deputies Osman Baydemir and Ahmet Yıldırım were detained on Wednesday as part of the crackdown against Turkey’s Kurdish political movement. Earlier on Wednesday, HDP deputies Mehmet Emin Adıyaman and İmam Taşçıer were detained. All of the deputies were released after their testimonies during the day. Baydemir had served as mayor of Diyarbakır between 2004-2014. The latest Diyarbakır mayor Gültan Kışanak was dismissed and sent to jail in October 2016 on alleged charges of terror links. Turkey has stepped up its crackdown on Kurdish politicians in recent months. Trustees have been appointed to dozens of municipalities in the country’s predominantly Kurdish Southeast, while Turkish courts in November arrested 10 HDP deputies including the party’s co-chairs Selahattin Demirtaş and Figen Yüksekdağ on accusations of terrorist propaganda. Two more HDP deputies were also arrested in December, bringing the total number of HDP deputies under arrest to 12. One of the deputies, Leyla Birlik, was released from jail this month. There are currently 11 HDP deputies behind bars.